Dr. Leung’s love of pediatric dentistry stems from a mission trip he took to Honduras during his senior year of dental school. Throughout those ten days, he worked in impoverished communities to provide free assistance to children who lack basic dental services. Dental pain was the norm for those kids; his goal was to help in any way that he could. He entered the field of pediatric dentistry because he felt it was where he could make the biggest difference in someone’s life, and he is thankful for the opportunity to do what he loves every single day. 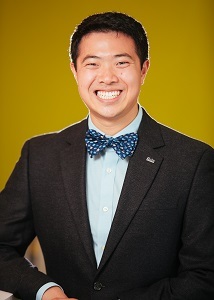 Dr. Leung received his undergraduate degree from Rutgers University in Cell Biology & Neuroscience and English. He attended Boston University where he earned his Doctorate of Dental Medicine and continued his training at Tufts University for pediatrics. In addition to his training, Dr. Leung has received the Humanitarian Award from the International College of Dentists and received honors in civic commitment and community service. He also loves pizza.